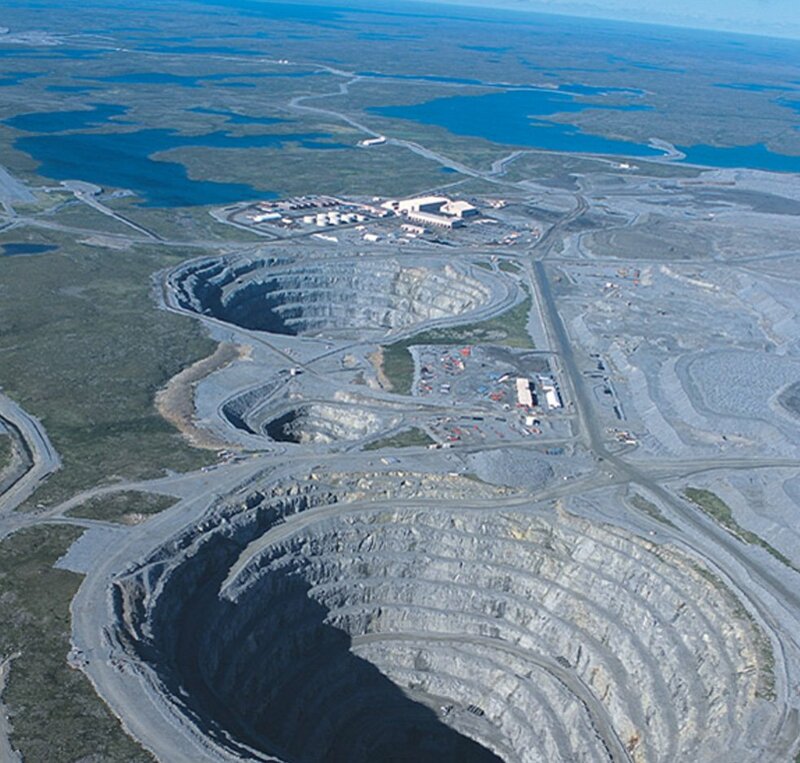 Nahanni has worked closely with Ekati Diamond Mine since 1998. Nahanni Construction worked with Diavik Diamond Mines Inc. to complete a number of projects and “here-and-now” now work at the mine site. From excavation to dam construction, Nahanni has contributed to Diavik site construction in a variety of ways. Located 300 km north of Yellowknife, most construction supplies must be shipped to the Diavik mine site via seasonal winter road. On site, workers must contend with the kind of extreme cold and weather conditions that come with working in the Northwest Territories. Yet most challenging of all was the nature of the work itself; working underground comes with its own set of unique challenges, including proper ventilation, material handling, and equipment interaction. Additionally, our work on this project involved a considerable amount of field fit and design adjustments – a significant challenge for the small crew we had on site. Nahanni was responsible for a variety of projects at the Diavik site, so we sent a multidisciplinary team in order to maximize job performance. We were responsible for a significant amount of civil installation on site, and provided underground concrete operators to supply our construction activities. With the majority of the work being completed underground, Nahanni’s safety and underground operating procedures were a key area of focus. Our team worked closely with the Diavik team to ensure design changes that arose throughout construction were well-planned and executed with precision, without slowing the pace of the project. Nahanni also assisted with take-offs and material deficiencies and provided Diavik with emergency personnel support quickly when needed. Exemplary safety record (zero lost time/injuries). Nahanni was audited on several occasions by upper management, each time returning from the audit with no deficiencies. Nahanni has been working at Diavik on and off since 1999 when the A154 dyke was being constructed. Nahanni worked closely with the Lac De Gras Joint Venture and helped with all aspects of the heavy civil construction including concrete, backfill, excavation, and man power. Nahanni has been on site for full time operations since 2008, and was awarded a contract for ADHOC services.